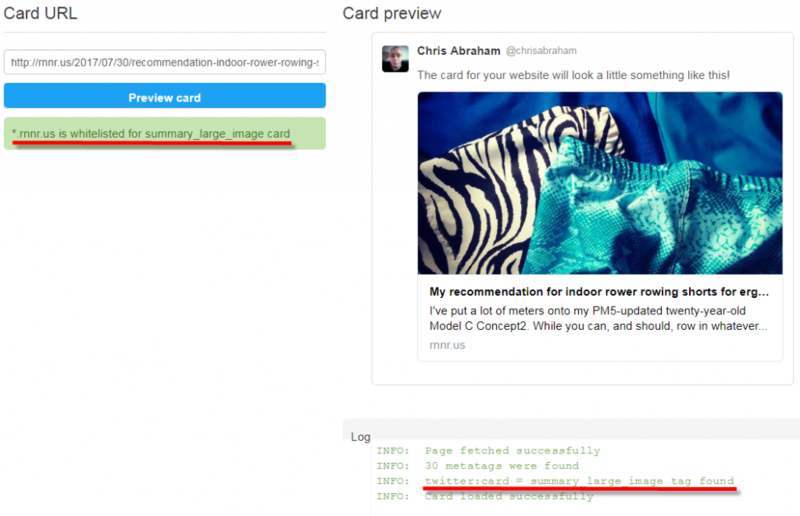 So, yes, there is a Twitter validator, the Twitter Cards Validator Tool. I am assuming that whenever you click on Preview Card, it also acts like a linter and debugger, but I am not sure — please let me know in the comments. Whether or not your photos, title, description, and graphics render correctly isn’t as serendipitous as it is on Google or Facebook. In order to render correctly on Twitter Cards, you actually need to implement Cards on your site by adding the correct meta tags to the page. 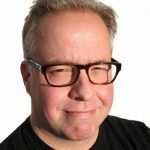 Here’s how to make it work on Drupal, WordPress (Yoast should do), and Joomla (if you’re even the littlest bit confused at this point, please share this URL with your IT or web person). Mike Moran and his development team over at Mike Moran Group LLC and Biznology have everything sorted out because the Biznology blog already supports the twitter:card summary tag. “ERROR: No card found (Card error)?” That makes me so sad. 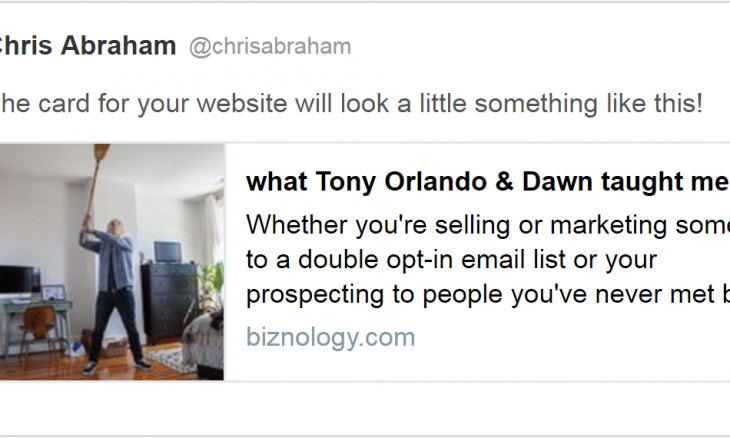 I really need to roll up my sleeves and take Chris Abraham Online to the next level as this is not OK. Luckily, I found a Twittercards extension for Plone over on GitHub that works with my version of Plone. I am only sharing this with you as a fellow marketer and not as an application developer, web developer, or coder. If you want to learn more about Twitter Cards and how your content can best be integrated and optimized for Twitter, check out the Getting Started Guide. However, if you do have your own WordPress website and you have admin access and can add new plugins then there are a couple-few solutions. I just installed Facebook Open Graph, Google+ and Twitter Card Tags on my RNNR.us blog so I’ll tell you how it goes. Twitter has also developed a WordPress plugin itself to support Twitter Cards and also optimize your blog for Periscope. I installed it as well so I am hoping that I didn’t just blow up my poor little, barely used, rnnr blog. Well, thank you very much, Beth! Why didn’t I know about it? I didn’t think I really needed it, except I do. I guess I assume that Tweets are ephemeral and textual but, today, all the best tweets are as rich, visual, graphical, video, and photographic as are Facebook, Google+, LinkedIn, and Pinterest. But what should you be feeding Twitter and Facebook and Google+ and Pinterest and your own blog? If you want to know why, Garrett Heath goes into great detail in Social Image Size To Rule Them All: Updated For 2017 Social Size Specs. Thanks, Garrett! If you want to go any deeper, jump down the Google rabbit hole of your choice or just pop over to the Twitter Cards page on Twitter.com, the source of everything Twitter and everything Cards. Hey Chris, thought I would mention our tool that helps people test previews across fb, twitter, and 10 other platforms. It’s free to try, check out https://mobilecavalry.com/lookout/ and let me know if you have any feedback!